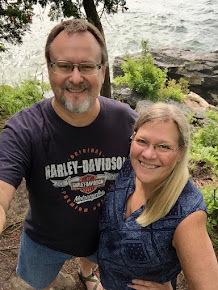 This is my fourth year to be a member of an online bee called Sew Sweet Bee. 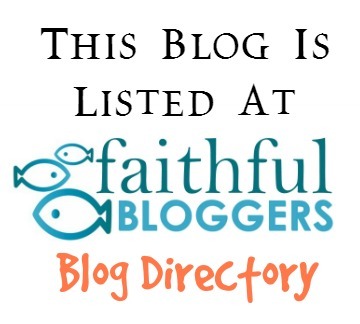 Donna @ Donna's Lavender Nest is our hostess of the mostest and keeps us all organized! February is my turn to be Queen Bee. 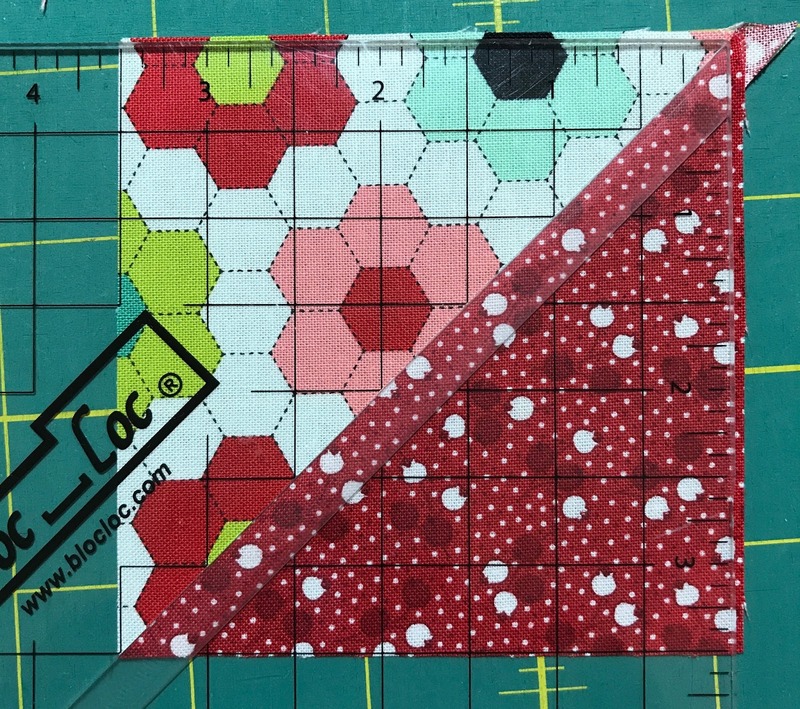 =) This year I have asked my hive sisters to make me a Pinwheel Star (or a Lemoyne star) using any of Bonnie and Camille's fabric lines. This block has many variations and you can make it only using half square triangles, however, trimming lots of half square triangles is not my favorite thing to do, so I worked out the block to use HST and flying geese. You get less HST to trim and fewer seams in the final block. 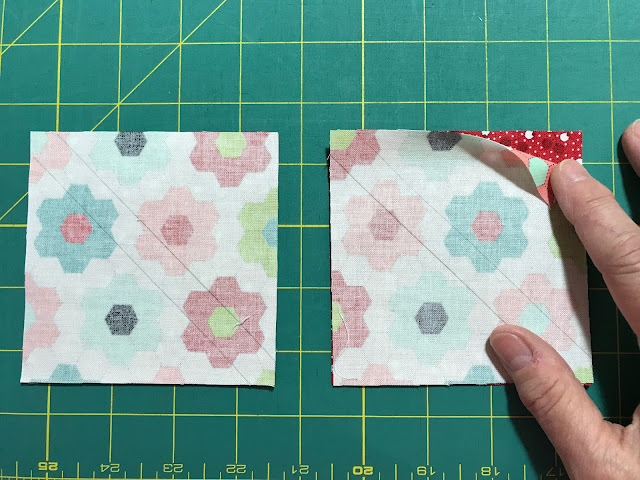 For a 12" finished block, you will need two fat eighths of contrasting colors and a fat quarter (there will be left over) of a background color. In my case, Kona Snow. 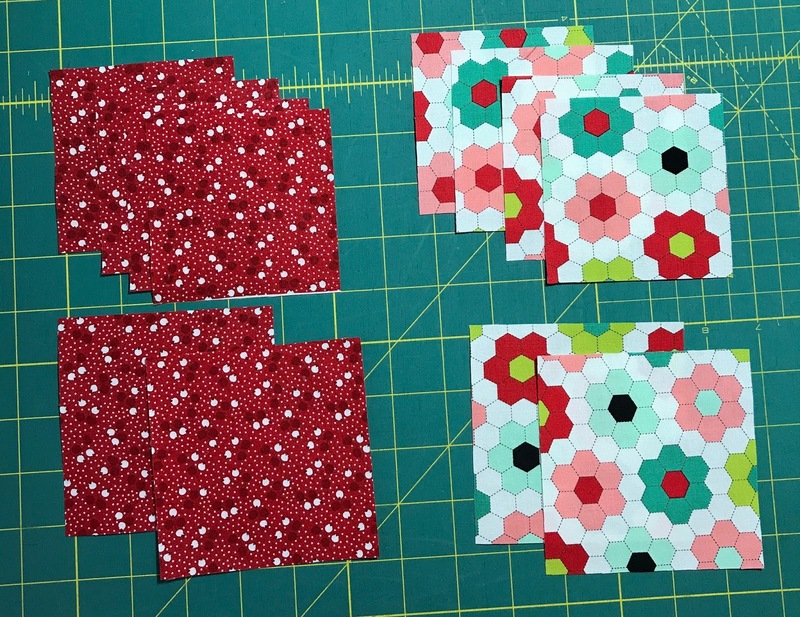 From each of the two contrasting colors cut (4) 3 ½ x 3 ½ squares and (2) 4” squares. 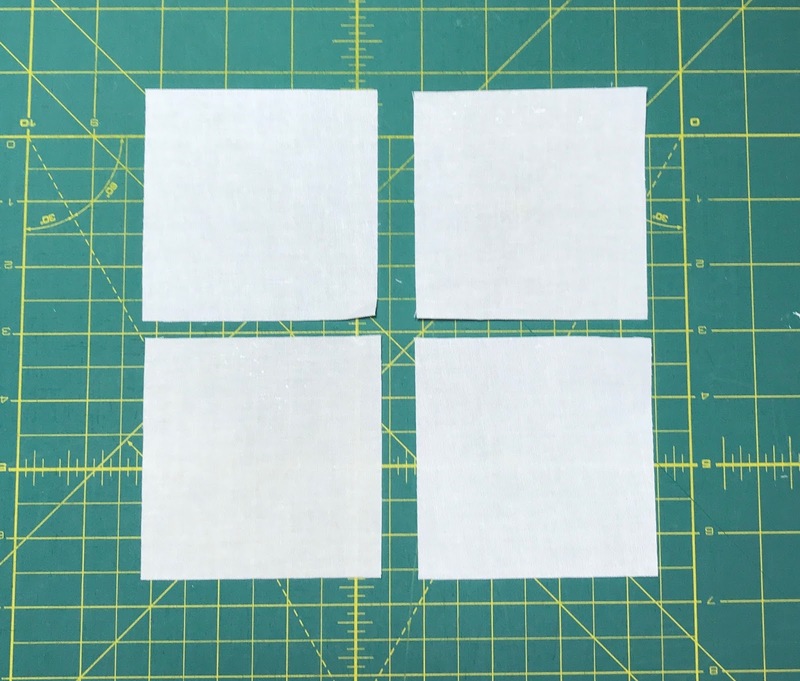 From the background fabric cut (4) 3 ½ x 3 ½ squares and (4) 3 ½ x 6 ½ rectangles. 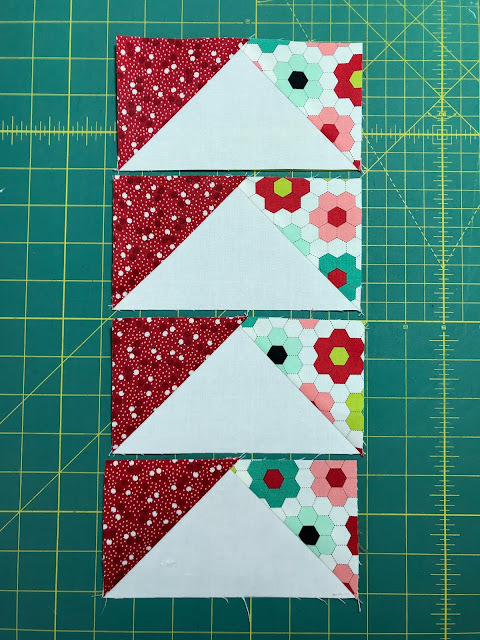 Gather all the 4” squares to make 4 half square triangles (HST). 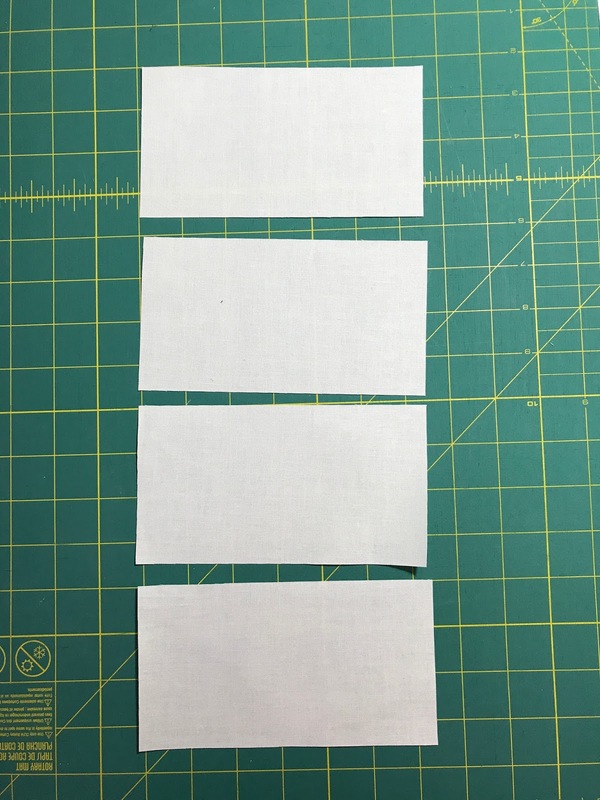 I draw two lines to sew on and cut them apart in the middle. Press them towards the dark side. Square them up to 3 ½” and set them aside for now. 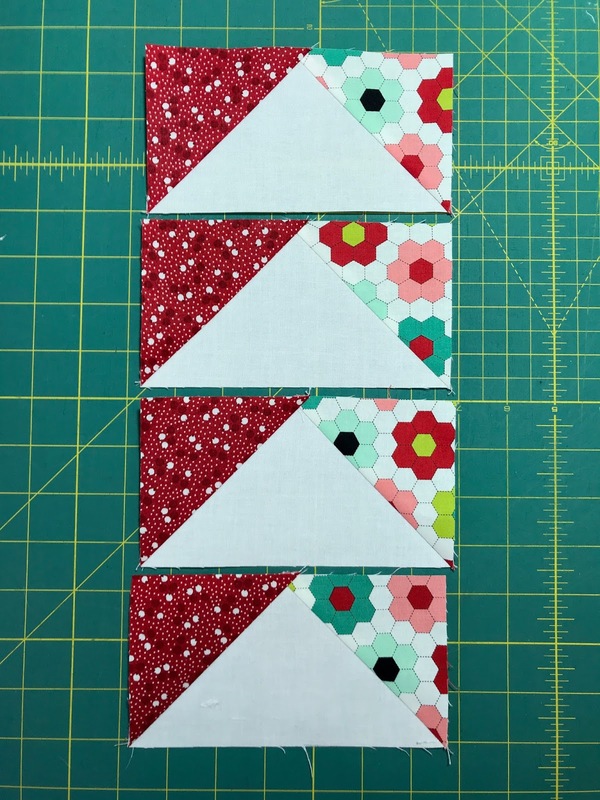 Next, you make (4) flying geese units using the (4) 3 ½” x 6 ½” background rectangles and (4) 3 ½” squares of each color. Sew all 4 of one color on one side of the flying geese and then sew all 4 of the other color on the other side of the flying geese. I go ahead and sew an extra line on the flying geese where it gets trimmed off to make bonus HST for other projects. 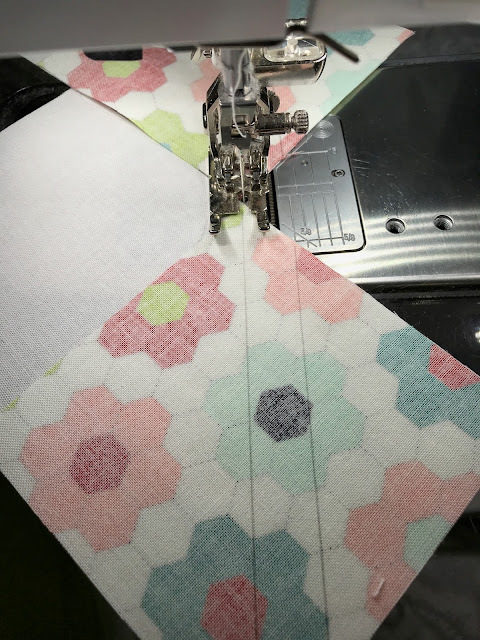 Now sew the HST into a pinwheel. On the back side of the pinwheel, I remove a few stitches and swirl the center seam to make it lay flatter. 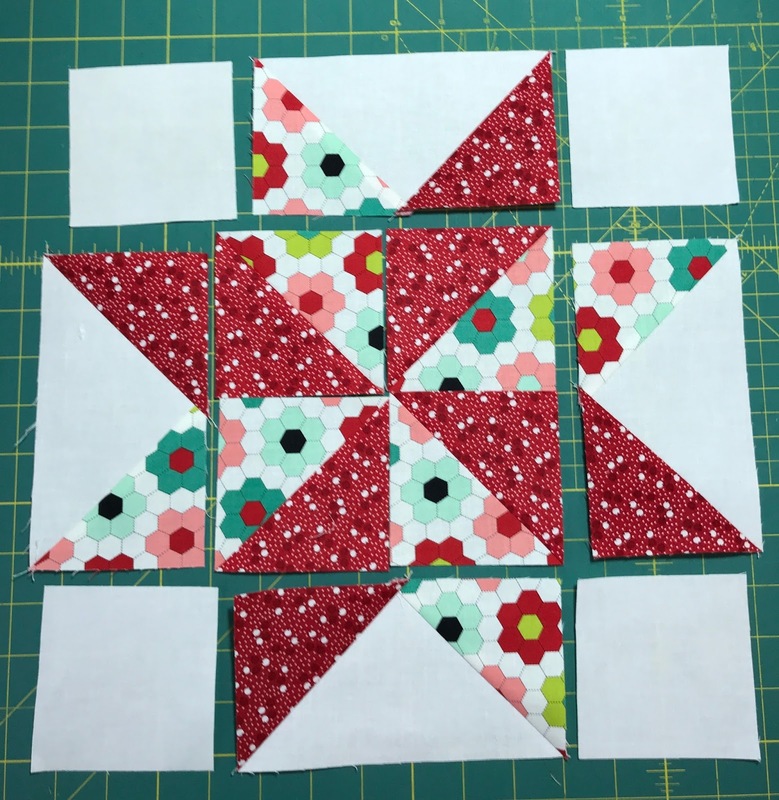 The pinwheel should measure 6 1/2" x 6 1/2". Now it's time to assemble the block! 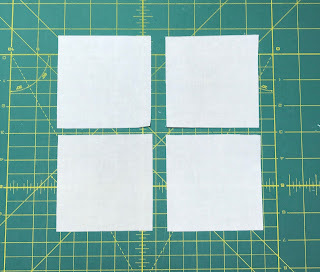 Sew the (4) 3 ½” background squares on each end of two flying geese blocks and press to the background squares. Sew 2 flying geese blocks to the pinwheel block and press towards the pinwheel. 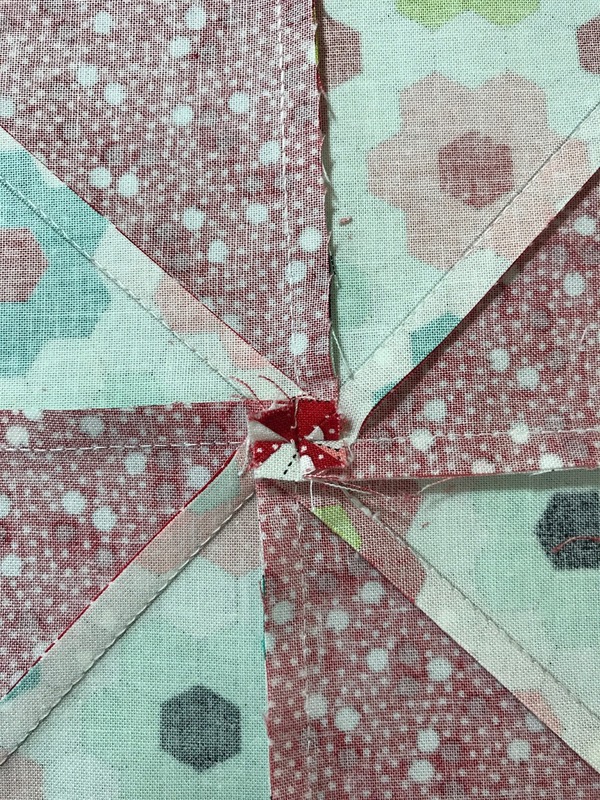 The seams should all nest nicely when you sew the three rows together to make your Pinwheel Star. 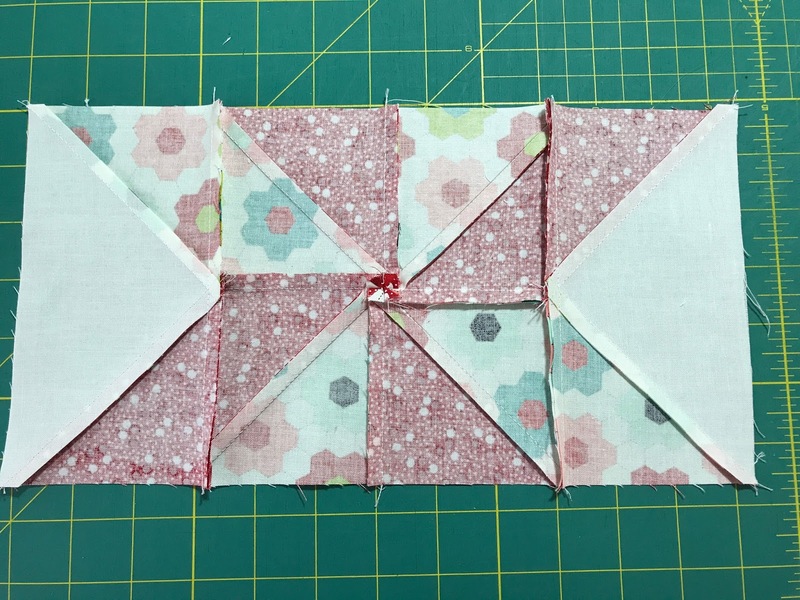 Great block and thanks for the tutorial. 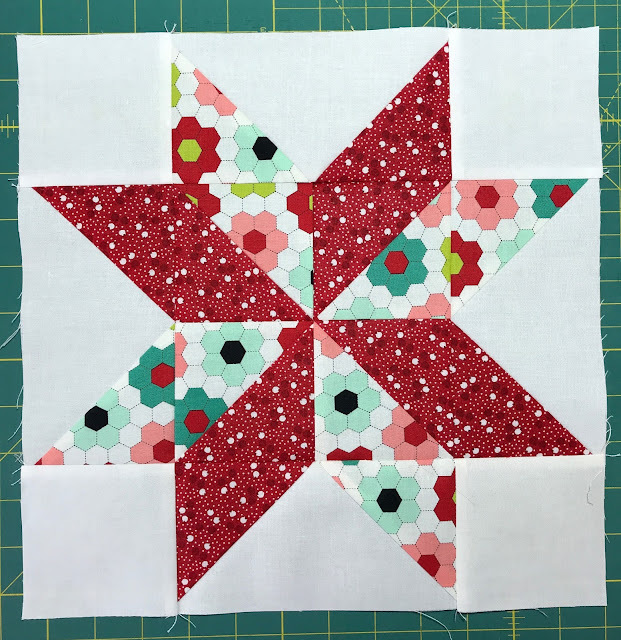 I love stars and think I can do this one. Thanks for a great tutorial! I love this block. 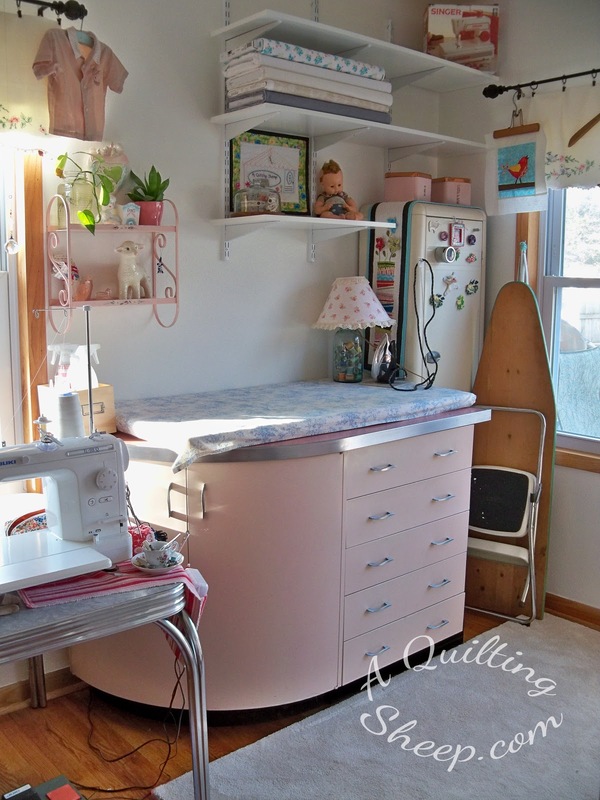 With those fabrics, you will have a beautiful quilt! ---"Love"
This star pinwheel block is beautiful with the two contrasting fabrics. Love how you 'flattened' the back little intersecting centre. I still have trouble with that :)! Thank you for the tutorial! Cute block. I recently picked up a lot of Bonnie and Camille Fabric on sale. Great tutorial. 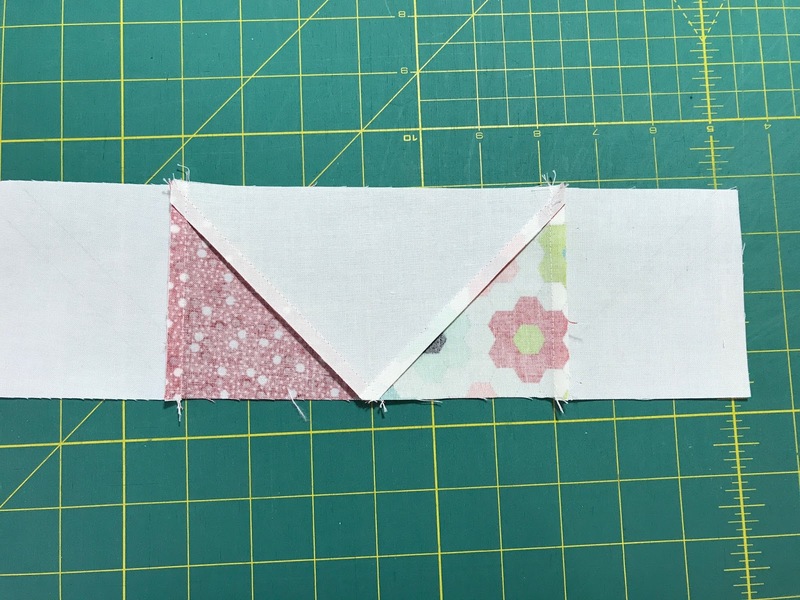 Someone recently asked me how to flatten the seam by removing a couple of stitches, I wasn't too sure how to do it. This is a mighty attractive star. I like it. A couple of these would make a great baby quilt. I need to get sewing..... and finishing. Awesome block. The fabrics are perfect. Thank you for the great tutorial! Hi Amy I sew love your block. Great choice my dear.